Injury Update: March 28 Crows GM of High Performance Matt Hass gives an update on the health of the playing list. Adelaide’s forward line is set to receive a boost with Mitch McGovern and Taylor Walker both expected to be fit for Saturday’s clash with Hawthorn at the MCG. McGovern came off the ground with an ankle injury during the Club’s 56-point win over the Greater Western Sydney, while Walker was a late withdrawal because of hamstring soreness. General Manager of High Performance Matt Hass said the pair would be tested at the Club’s main training session. “Mitch McGovern left the ground a few times. He’s a little bit sore and we’ll assess him during the week,” Hass said. SANFL co-captain Alex Keath will miss the start of the State League season after straining a hamstring in a trial game on Saturday. “We’ve had scans and it looks to be about a 2 – 4 week injury. We will give updates along the way as his rehab progresses,” Hass said. Defender Kyle Cheney has experienced a setback in his return to playing AFL, leaving Thursday’s training session early with a hamstring injury. Hass said Cheney had already progressed in his rehabilitation. “He’s commenced running. He’s run two times this week, we expect him to be couple of weeks away from returning to the SANFL,” Hass said. Midfielder Brad Crouch has rejoined the main training group and is on track to return in Round One of the SANFL next weekend. “Brad Crouch is tracking along really well from his hammy,” Hass said. Paul Seedsman is progressing a little bit slower than expected in his return from groin soreness. 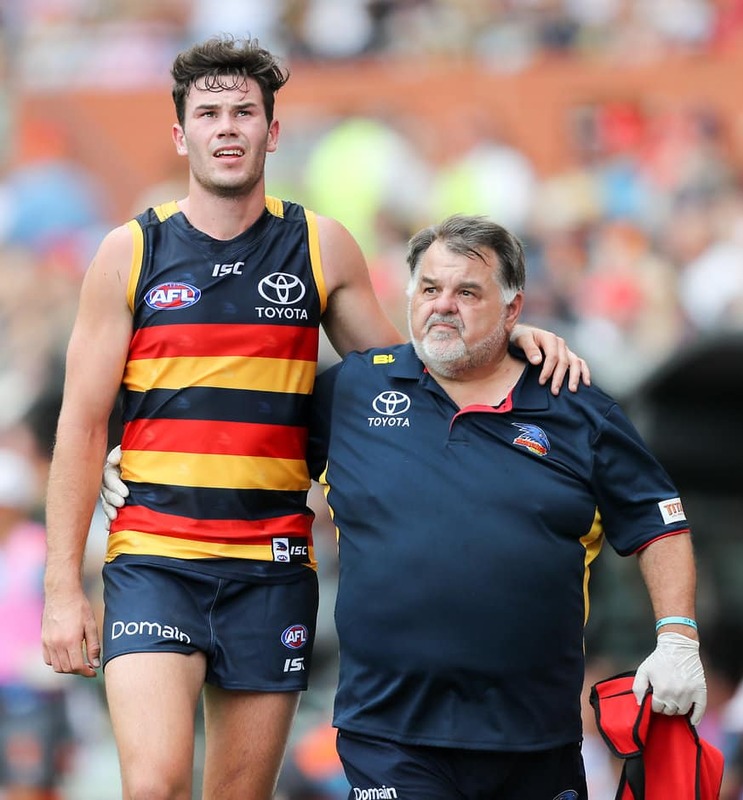 “Paul Seedsman is still in rehab from his groins, we are trying to strengthen that area as much as we can before he returns to main training,” Hass said. Draftee Ben Davis has undergone surgery after struggling to overcome an existing foot injury. “It’s unfortunate news about Ben Davis,” Hass said. Young backman Tom Doedee about a fortnight away from returning from knee soreness.